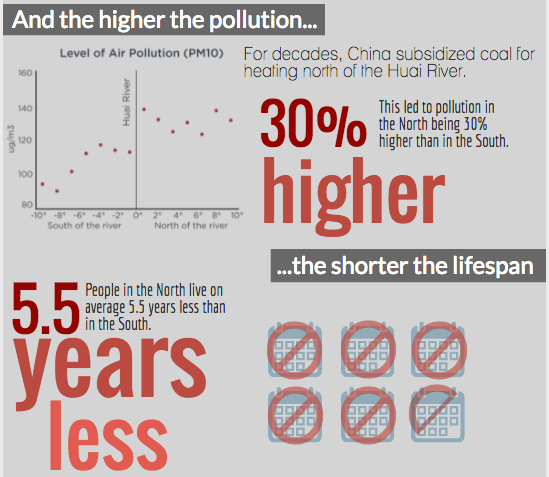 People who live north of China’s Huai River are willing to pay a five-year total of $213.00 for cleaner air. Where are we going? 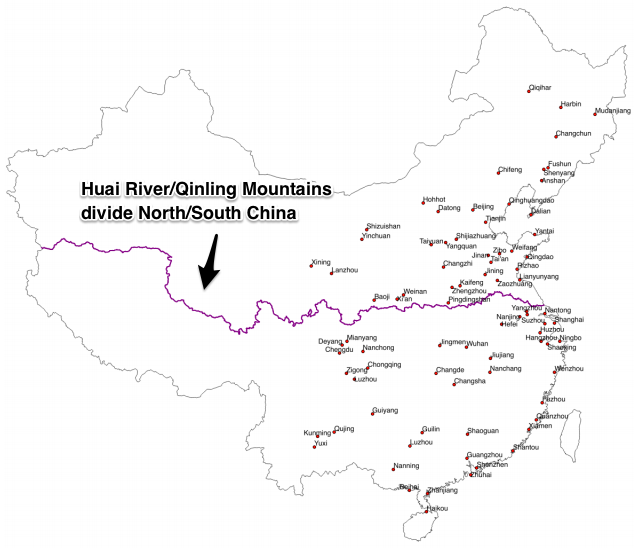 To the connection between Chinese air purifier purchases and economic growth. Illustrating their research, the Energy Policy Institute of the University of Chicago created the following wonderful infographic. 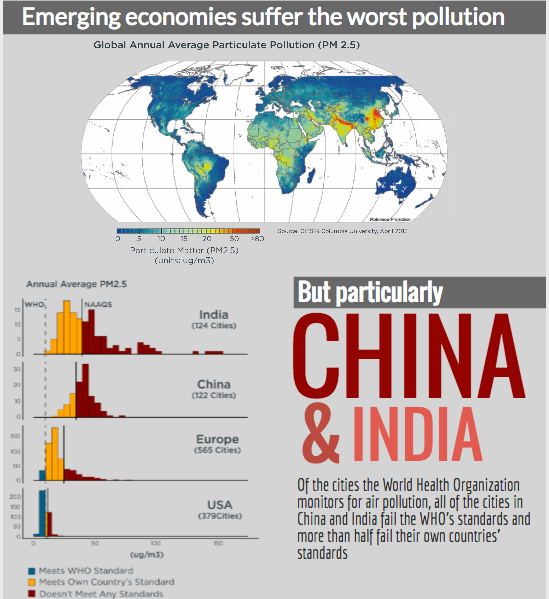 Starting with an overview of the world’s air pollution, they move from the bigger picture to their own air purifier study. Defined as spending, taxes and borrowing, a developing nation’s environmental fiscal policy can be better understood if we know people’s willingness to pay for cleaner air. If the amount is relatively low, then we can assume people need that money for daily living. When the amount is high, then the government needs to do more. 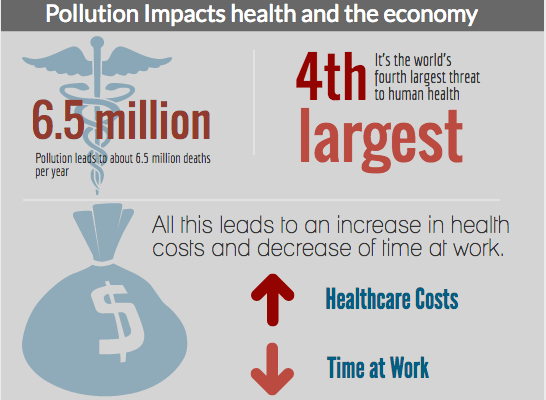 Whichever though, the amount relates to the balance between economic growth and cleaner air. 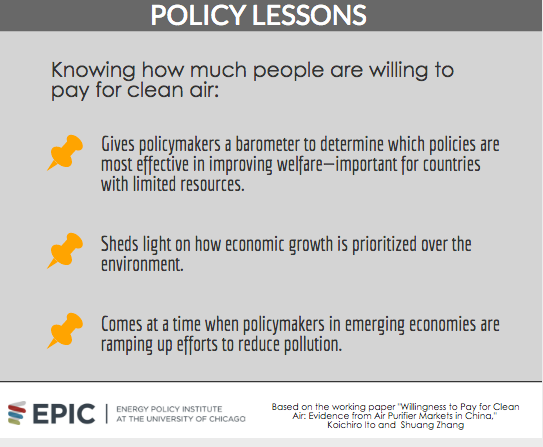 My sources and more: The papers from Chicago’s Energy Policy Institute are excellent. My introduction was an unrelated fascinating NY Times article by Michael Greenstone on climate change and insurance markets. 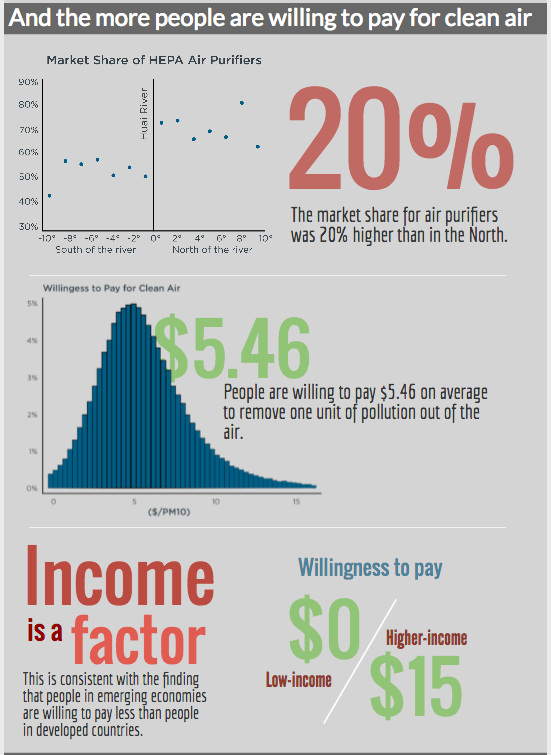 That took me to the Energy Policy Institute’s research and their study of air purifier purchases, this paper on unsettled questions about the environment and their infographic.